This is the first part in a series of WWDC rumor articles to come, exploring the possibilities of the new second generation iPhone speculated to launch at WWDC 2008. For years rumors have been flying about an Apple phone. 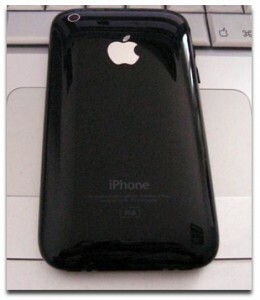 Finally, last year at Macworld 2007, Steve Jobs introduced the iPhone. Ever since the January 9th release, rumors and speculation have run wild regarding everything from rumored firmware updates to hardware revisions and even new iPhone models. Now with a little over two weeks until WWDC, the iPhone rumors have exponentially increased- and everyone seems to be unanimously shouting one thing- 3G iPhone. The first generation iPhone is held by some as one of the best cell phone ever created. Both users and critics agree that the iPhone is close to perfection- or at least a step up for cell phones. However, some of the of the cons with the iPhone are the touch screen keyboard, slow EDGE connection (no 3G) and the lack of third party applications. With the rumored second generation iPhone, it appears that Apple is out to fix two of those three flaws for sure- 3G and third party application support with iPhone firmware 2.0 (already revealed). In April, AppleInsider reported that references were found in the latest iPhone 2.0 betas to the Infineon chipset, SGOLD3H. The SGOLD3H is a cellular chip that supports 3G cellular data access via HSDPA to up to 7.2 megabits/second. The chip even supports the WCDMA technology which is needed in countries such as Japan or Korea. Currently, the iPhone uses a SGOLD2 to power 2.5G (EDGE) cellular communications. Last week, 3G settings were found in the latest betas of the iPhone 2.0 firmware. Over all, these following countries, listed in alphabetical order, will be getting or currently sell the iPhone: Argentina, Australia, Austria, Belgium, Brazil, Canada, Chile, Colombia, the Czech Republic, Dominican Republic, Ecuador, El Salvador, Egypt, Greece, Guatemala, Honduras, India, Italy, India, Jamaica, Jordan, Mexico, New Zealand, Nicaragua, Paraguay, Peru, Philippines, Puerto Rico, Portugal, Slovakia, Singapore, South Africa, Switzerland, Romania, Turkey, United States and Uruguay. Not only is the current iPhone nearing its first public birthday, but it is very hard to find at the moment. As reported in April with the then temporary shortage of iPhones, today the iPhone is very hard to come by. Since last week, a quick check to the Apple Online Store shows the product “Currently Unavailable”. iPhones are also in very limited quantities in both Apple Retail Stores and AT&T Retail stores. These are definitly indicators that Apple is readying an update and has sold out of the remaining inventory of iPhones. While 3G is the likely next move for the iPhone, there is still much speculation of other changes Apple might want to make. The next few topics are debatable and the evidence is not nearly as solid as it is for 3G. 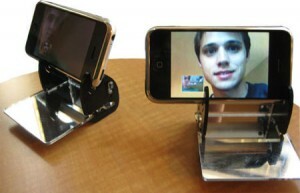 Videoconferencing: There have been many rumors that the second generation iPhone will have two cameras; a camera on the back and a hidden forward facing camera to be used for video conferencing. This rumor is not supported by anything solid except that the SGOLD3H cellular chip supports live recording and videoconferencing, where as the SGOLD2 cellular chip (found in the current iPhone) does not. Flush Headphone Jack: Another complaint about the current generation iPhone is that the recessed headphone jack makes it very hard or impossible to plug third party headphones in. It would only be logical for Apple to revise the case and mount the headphone jack flush for this next update. GPS: Built in GPS would certainly compliment the Google Maps application. By allowing the iPhone to give a precise location fix, dynamic turn by turn directions, geotag pictures, and more. Material Change: By switching the back case of the iPhone from anodized aluminum to plastic; the iPhone could become lighter and allow for better wireless signal reception- especially if adding GPS. One possibility is that Apple will remove the aluminum backing and use a similar material to the black plastic piece at the bottom of the current iPhone (which is there for the antennas for the cell and 802.11 wireless). Curvier Body: The current iPhone, while rounded, seems almost square in your hand. When holding an iPhone in your palm, you generally only feel the edges of the phone. It is rumored that the back of the iPhone will be more rounded for that reason. Verdict: We will certainly see a new iPhone launched sometime before the end of this year with 3G. Gizmodo, Tuesday morning is reporting that Apple will launch the new iPhone on June 9th, for immediate worldwide release; which is a fairly reasonable claim. Keep tuned for theiLife’s predictions in the days leading up to WWDC.